In November 2014, Britain’s Counter-Terrorism Bill was introduced in the House of Commons. Prime Minister Cameron announced impending “new powers” and “very radical reforms” in relation to the alleged “jihadist” threats, These would also include provisions to strip UK citizens of their passport as well “their right to leave and return to the UK“, which in essence strips them of their citizenship. The Counterterrorism bill, which derogates fundamental rights of UK citizens was “fast-tracked” through the British Parliamentary system. Less than two months later, on February. 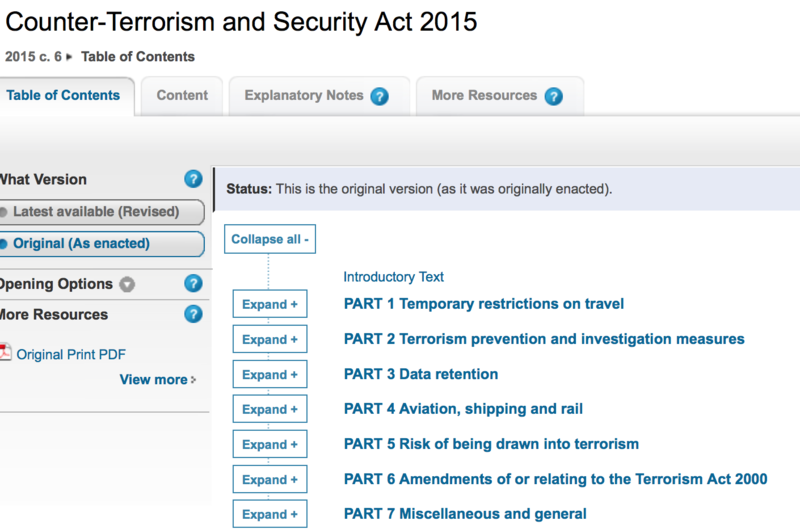 12, 2015, the Counter-Terrorism and Security Act 2015 (CTSA) became law. Most Brits are totally unaware of the provisions contained in this “legislation”. For the complete text of the CTSA click here. What is distinct in this legislation is that it also applies to children and adolescents under 18 years of age. British police are now arresting children under the anti-terrorist provisions of the Cameron government which essentially gives a green light to detain and imprison on a mere suspicion. The 14-year-old boy was arrested in Blackburn, Lancashire, on Thursday, while the girl, 16, was arrested after police raided a house in Longsight, Manchester, on Friday. They were both arrested as part of the same investigation on suspicion of terror-linked offences and have been bailed until May 28. The investigation involves the North West Counter Terrorism Unit, Greater Manchester Police (GMP) and Lancashire Constabulary. Police said on Thursday the examination of what they described as a “number of electronic devices” led them to execute the search warrant at the house in Blackburn. The 14-year-old boy was arrested on suspicion of preparing for an act of terrorism under Section 5 of the Terrorism Act 2006. The day after officers from GMP’s Tactical Aid Unit and North West Counter Terrorism Unit executed a warrant at a house in Longsight, south Manchester. The 16-year-old girl was arrested on suspicion of engaging in conduct in preparation for acts of terrorism. The arrests come as nine individuals from Rochdale, Greater Manchester, are being held in Turkey after allegedly trying to cross the border into war-torn Syria. Needless to say, Western politicians in high office who provide support (including weapons) to the “Islamic State” brigades through their respective intelligence agencies (e.g.MI6), are exempt from prosecution under the Counterterrorism and Security Act 2015. While the Cameron government channels covert support to ISIS terrorists in Iraq and Syria, a 14 year old boy and a 16 year old girl are “Arrested on Suspicion of Preparing Acts of Terrorism”. Double standards? Criminalization of Her Majesty’s government? Treason.